Western blot analysis of BCL2L1. 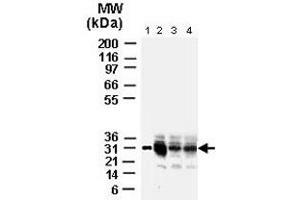 Using BCL2L1 polyclonal antibody . Lane 1. lysates from isolated rat liver mitochondria. Lanes 2-4. rat brain tissue lysates : cortex (lane 2) , basal ganglia (lane 3) , and cerebellum (lane 4) . The antibody detected BCL2L1 at ~30 kDa. Formalin-fixed, paraffin-embedded normal human colon epithelium tissue section stained for BCL2L1 expression. Using BCL2L1 polyclonal antibody at 1 : 2000. Hematoxylin-eosin counterstain. A course granular BCL2L1 staining pattern associated with the mitochondria is observed. Formalin-fixed, paraffin-embedded human colon carcinoma tissue section stained for BCL2L1 expression. 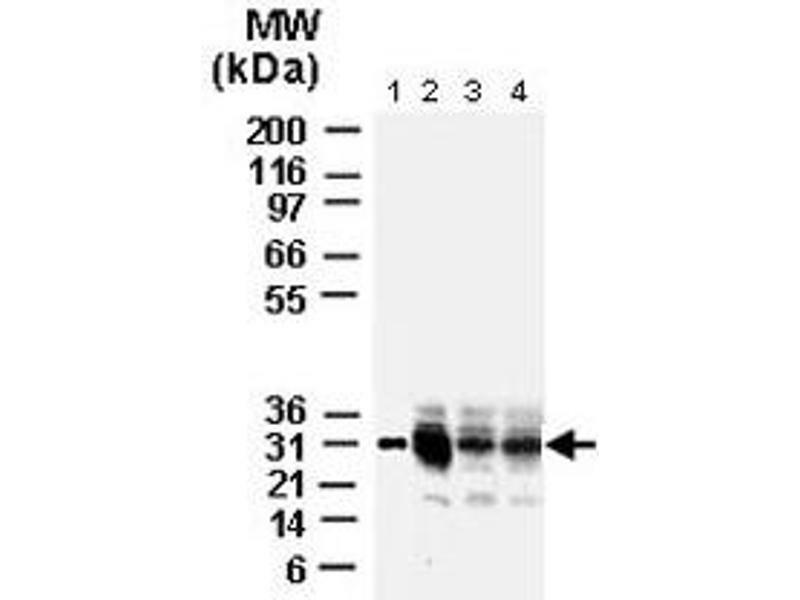 Using BCL2L1 polyclonal antibody at 1 : 2000. Hematoxylin-eosin counters.